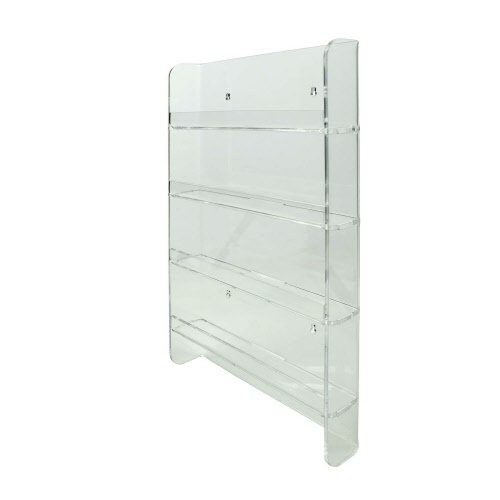 Clear acrylic wall mounted display rack ideal for nail polish, model paints, e-liquids, cosmetics and small ornaments. 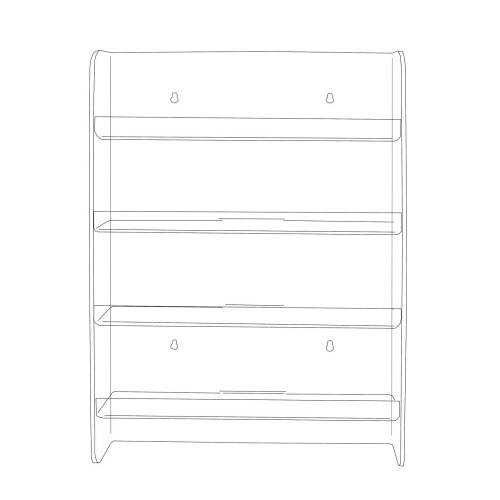 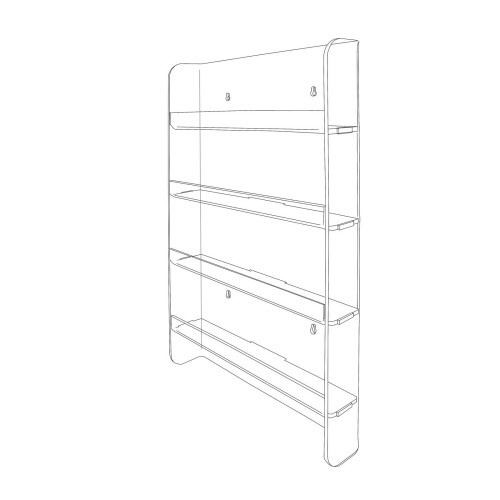 Each shelf features a lip to prevent items from falling and also leaves room for branding. 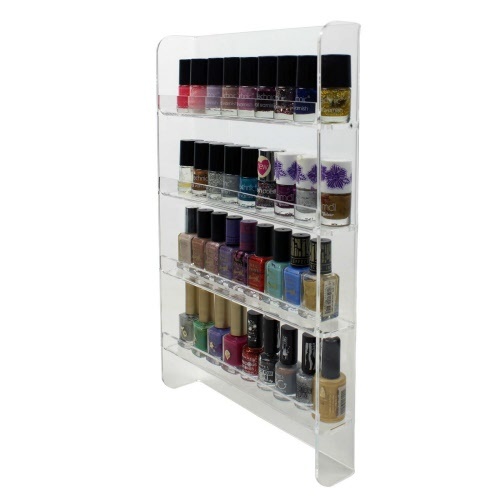 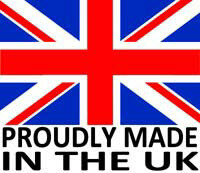 Can be used in nail studios, beauty clinics, receptions, shops and even home use. 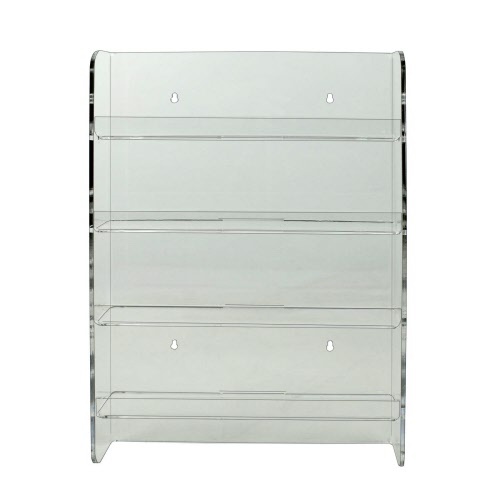 Height: 400mm / 40cm / 15.75"
Width: 261mm / 26.1cm / 10.25"
Depth: 50mm / 5cm / 2"
Width: 252mm / 25.2cm / 10"
Depth: 43mm / 4.3cm / 1.65"
Shelf Lip Height: 17mm / 1.7cm / 0.7"
80mm / 8cm / 3.1"